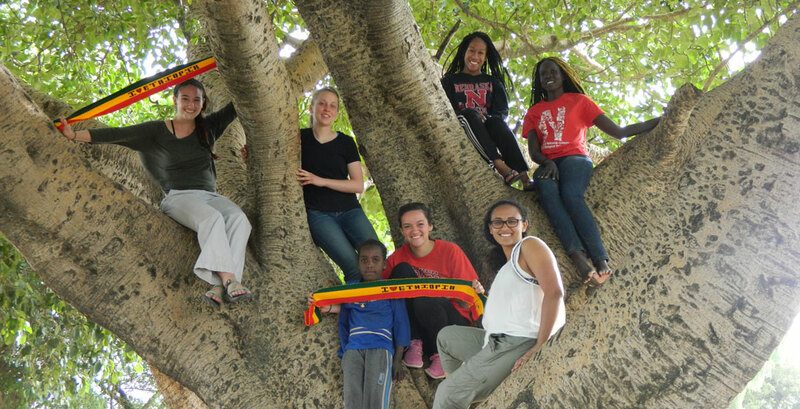 Students taking time out to play in Ethiopia as part of the Ethiopian Scholarship Program. 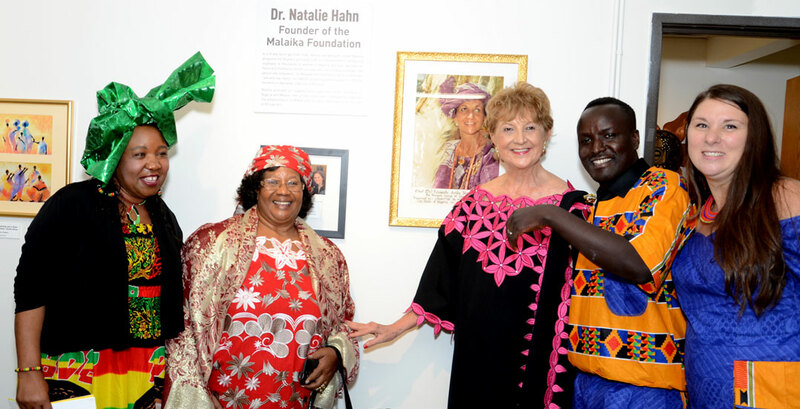 The first African President to visit Nebraska, Dr. Joyce Banda, former President of Malawi, opened the Midwestern African Museum of Art, Culture and Resource Center (MAMA) October 16, 2016. Over 200 pieces of art is placed in the Malaika Gallery. The continued support of dedicated Nebraska citizens helps the Malaika Foundation realize its mission. The Malaika Foundation brings global education opportunities to students and educators in Nebraska. We provide resources for educators seeking input, ideas and collaboration on global education and travel. Travel abroad is encouraged to gain a better understanding of the world we share and those with which we share it. Teachers use their extraordinary experiences throughout the world to inspire and educate their students. Your support helps provide global educational resources to bring the world to Nebraska's children. The Malaika Foundation Board of Directors is delighted to announce the appointment of Alicia Dallman Shoemaker as the new Malaika Foundation President. Alicia is a graduate of one of the last remaining one-room schoolhouses on the Nebraskan prairie. Before serving as a secondary and university educator of English, world languages, modern language methods, and world cultures for the past nine years, she lived and taught in South American and European countries. She received the 2016 Freda Drath Battey Distinguished Educator honor, University of Nebraska-Lincoln, and the Department of Education STEM Fellowship. As a two-time Fulbright scholar, Alicia facilitated the Global Classrooms program and has brought hundreds of speakers from nearly all continents to her classrooms. She is the President of the Nebraska International Languages Association, which serves all language teachers throughout the state. 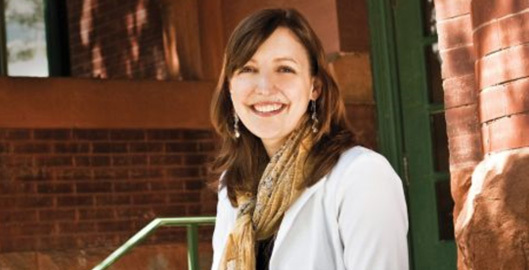 She co-founded the Cross-Nebraska Education Community to connect local champions of human rights, particularly those related to education policy and access. She is the Malaika advisor for Reach the World and her contributions were honored at a Reach the World Gala in New York City, 2018. Reach the World's curriculum-aligned virtual exchange journeys connect you and your students with volunteer travelers to explore the world without ever leaving the classroom. This winter, you can choose from one of 16 countries for your virtual journey—they include Austria, China, England, Germany, Hungary, Ireland, Italy, Laos, Norway, Panama, Romania, Singapore, Slovakia, South Korea, Spain or Tanzania. Each match includes custom content from your matched traveler and video conferencing sessions from the field! From researching green sea turtles in Malaysia to reporting on kids' daily lives in Italy, you can use these authentic stories to enhance your lessons while inspiring your students to become curious, confident global citizens. Reach the World and the Malaika Foundation are pleased to offer these fellowships for your classroom, so urgently e-mail Christopher Ahearn at chris@reachtheworld.org today! DOWNLOAD REACH THE WORLD BROCHURE. (left to right) Anna Curry MS student at UNL, dairy and contribution of milk-based foods to diet. Brandi Russell, Vitamin A deficiency. Mary Kroupa, Malnutrition & Growth. Ashley Marne, Dietary Sources of Protein. All pictured with a Zambian Medical Student. Learn how Study Abroad and International/Global Studies programs are using the power of the WeSpeke social network to help students (both outbound and inbound) be more prepared before they depart. See ways in which students are connecting with people who live where they are going to learn language, understand culture, and ask questions. Listen to other Study Abroad Directors talk about how they are using WeSpeke before, during, and after the study abroad experience to enhance their programs and focus students on job preparation for the global economy. If you would like to share resources and tools—join the Institute of International Education, IIE, Generation Study Abroad Commitment Partner LinkedIn Group. This is a community of teachers in partnership with the Malaika Foundation dedicated to global education and fostering international understanding in Nebraska youth. Group members are encouraged to share lesson ideas, resources, and global professional development opportunities within the group community. The intent is to allow for a free-flow of ideas to enhance global education for schools and universities throughout Nebraska. Please keep posts focused on this mission. The administration does reserve the right to delete posts or comments that do not contribute to the purpose and intent of the site. Members can add new members, but final approval will go through the administration. New members should have a desire to foster global education in Nebraska and may include Nebraska teachers (P-16), informal educators, pre-service or post-secondary education majors, and others dedicated to global education. The goal is to begin building the community and provide a place for the sharing of ideas and opportunities. It may be necessary to add other guidelines as time goes by, but focusing posts and conversations on global education and professional development will ensure the group remains true to its purpose. 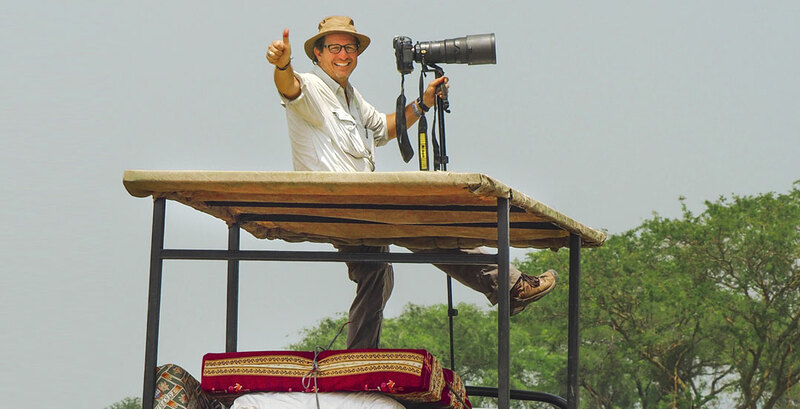 "Because of the generosity and support of the Malaika Foundation and Fund For Teachers, I experienced new lands and ideas, making friends among strangers and returning to the classroom with knowledge and enthusiasm that inspired curiosity and challenged students to create the change they want to see in our world." "The Fund for Teachers and Malaika Fellowship allowed me to visit Madagascar to increase my knowledge of conservation, exploration, and nature to better educate my students in Omaha. I have incorporated so many of the things I learned in Madagascar into my classes and have expanded my curriculum to include different needs that must be examined, for the wellbeing of our global community." The Malaika Mission is to build a greater understanding of peoples and countries throughout the world for Nebraska youth and enhance global education in Nebraska schools and communities. Malaika is a Swahili word, the language of Kenya and Tanzania, and means “my angel”. Note the famous Malaika song by the late South African singer, Miriam Mekaba. As Dr. Manley encouraged, “In order to understand the world, you must also understand and appreciate your own heritage and history”.